Thirty six people were in attendance for our weekly Friday Night Nine Couples Night Scramble, with the team of Shirley-Ann Appleby, Gary Wintle, Gisele Lynch and Steve Rach shooting 32 to win the event. 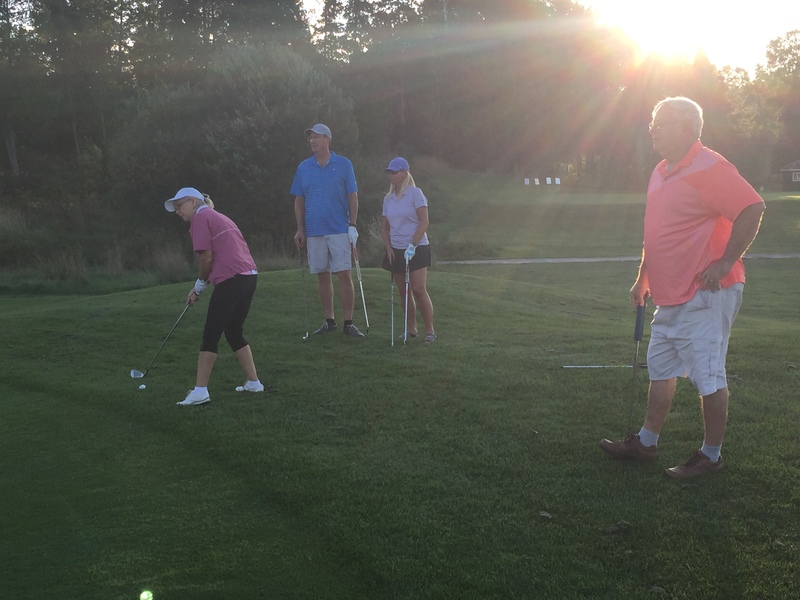 Caroline Bates gets ready to make the chip on the fourth hole during our Friday Night Couples Night, with team members Bob Turgeon, Tammy and Mike Szarka looking on. This coming Friday, September 14th will be the final Friday Night Nine Couples Night for the season. Shotgun start at 5:30 PM. Be sure to sign up by calling the Pro-Shop at (705) 752-5225 or on-line.